Old Ponte Vedra Beach oceanfront condominium community in Ponte Vedra Beach, Florida. 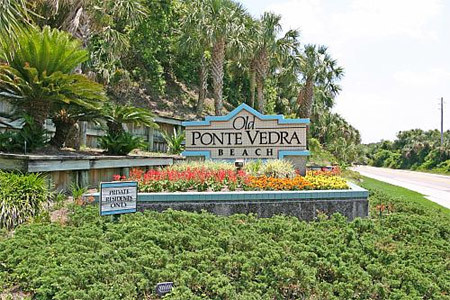 Old Ponte Vedra Beach is an oceanfront condominium community in desirable Ponte Vedra Beach. Each residence offers panoramic view of the Atlantic ocean from private balcony/deck. Choose from ttwo and three bedrooms floor plan ranging from 1,300 to 2,400 square feet. All units have 1 car garages plus 2 additional parking spaces. Amenities include clubhouse, pool, and tennis court. Don't miss your opportunity to live, work, and play near the Beaches. Call me today at (904) 307-8998 for your personal tour of Old Ponte Vedra Beach.